They say clothes make the man. Well we don’t know who ‘they’ are, but ‘they’ are right for sure! We think that a little touch of some dapper accessories here and there can transform a simple outfit. After all, it’s all in the details! The StyleStamp recommends some of the best men’s designers and labels that make rather amazing accessories. If there’s anything that you need to prep your look, it’s a bow tie! And trying to find the perfect bow tie is hard work. So if you frequently lust over the bow ties that Blaine wore on Glee, and basically nerd out over all things bow tie related, we’ve found the answer for you! 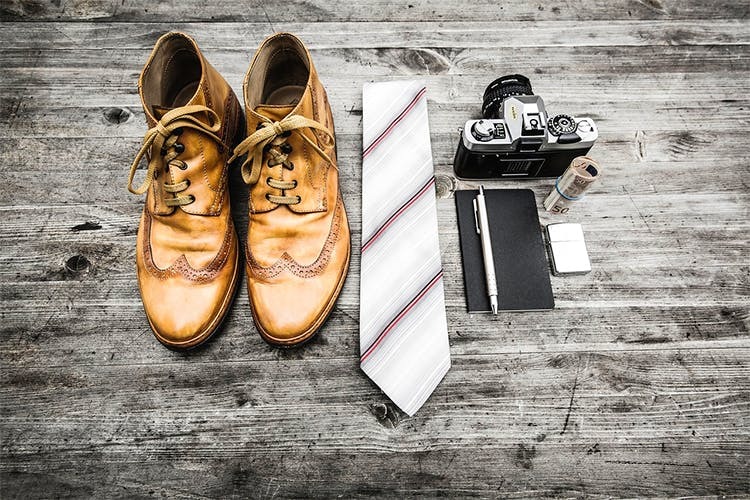 Nikhil Sharma does some dapper bow ties along with other stuff for men such as shirts, trousers, suits, pocket squares, ties, tie clips, lapel pins, scarves, bags and shoes. You can always add a little something extra to your formal attire and it never hurts to own more than one pair. Run by the duo of passionate sisters who call themselves N & N, AZGA offers styles that are classic, and elegant yet bold and playful. “You’re either in your bed or in your shoes. So it pays to invest in both,” said John Wildsmith, an English shoemaker. And that’s why we’re recommending Vittore to you. They claim their shoes are designed, produced, and hand crafted in Italy. Vittore also offers custom-made shoe services and they have styles that will take you from boardroom to happy hours! The brand does an extensive range of luxury pocket squares in the finest of fabrics that include silk, linen, cotton, and pure wool. And they come in a variety of colours. So go ahead, experiment with these decorative additions from SEVEN and boost your outfit in less than seven minutes. While TSG is a name familiar to many Delhi women, they have now also forayed into men’s shoes. Artimen is the latest addition to their ever growing portfolio. They offer made-to-order and bespoke shoes that will let you express your style.